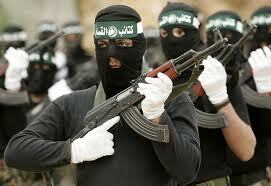 Terrorism research papers examine the broad definition of terrorism of today and the politics involve. In a 2008 article in the European Journal of International Law, Marcello DiDilippo says that any modern effort to “define terrorism produces endless debate, at both the political and legal levels”. That being said, DiDilippo offers a broad definition of terrorism that includes violent acts that impair the “essential rights of civilians,” that “spread a climate of panic” with “the intention of spreading terror,” and that are motivated by allegiance to an “organization [that is] actually carrying out acts of serious violence”. More simply, a terrorist act is a violent act that hurts and scares people and that is committed by one or more members of a terrorist group. This definition is circular at best; a terrorist is a member of a terrorist group, and a terrorist group is a collection of terrorists. In the US today, much of the media coverage of and political debate on terrorism has focused on ISIS (Islam in Syria and Iraq), and Al-Qa’ida continues to be an ongoing concern. Terrorist groups added to the US State Department’s List of Foreign Terrorist Organizations in 2014 include: Ansar al-Shari'a in Benghazi, Darnah, and Tunesia; Ansar Bayt al-Maqdis; al-Nusrah Front; and Mujahidin Shura Council in the Environs of Jerusalem. These groups, loosely, share the objective of imposing Sharia law in either existing or new governments, and they seek to minimize western influences in the region. That’s not to say that all modern terrorist groups are Muslim. Basque Homeland and Freedom is an armed separatist group in Spain, the Kurdistan Workers Party seeks a government based on democratic confederalism, Shining Path is a group of Maoist guerrillas in Peru, and the Continuity Irish Republican Army is an illegal dissident group linked to Sinn Féin. And not all terrorist groups are foreign. The FBI’s list of fugitive domestic terrorists includes: a member of the Black Panthers, Catherine Marie Kerkow; two members of the Earth Liberation Front (ELF) or the Animal Liberation Front (ALF), Joseph Mahmoud Dibee and Josephine Sunshine Overaker; and two members of the May 19th Communist Organization, Donna Joann Borup and Elizabeth Anna Duke. According to Abdul Rashid Moten, “Terrorism is an old phenomenon”. The word “terrorism” was first coined during the French Revolution in the late 18th century when “systematic state terror against the population of France [killed] thousands”. However, The Zealots of Judea conducted an underground campaign of assassination of Roman occupation forces as early as the 1st century. The 19th century Russian Narodnya Volya, the group that assassinated Tsar Alexander II of Russia, may be the forbearers of modern terrorism; they were clandestine, had a cellular organization; had both impatience and an inability for the task of organizing the constituents they claim to represent, and they tended to increase the level of violence as pressures on the group mounted. Neither the international community nor our own government can agree on an official definition of terrorism. Perhaps we can borrow from Marcello DiDilippo, and say that terrorism is about violent acts that impair the “essential rights of civilians,” and that “spread a climate of panic” with “the intention of spreading terror”, and leave it at that. Research Papers on Bioterrorism discuss national security in relation to combating terrorism. Bioterrorism and national security research from Paper Masters. ISIS' Presence in the U.S. Research Papers on Terrorism in America. Accurately assessing ISIS' presence in the United States of America is a challenge. The Sociopolitical Factors of 911 research papers discuss what the terrorist attack did to the United States sociologically. The USA Patriot Act of 2001 Research Papers evaluate the events of September 11 2001, and the act that came into play shortly after the 911 attack. Airline Security Research Paper - While most of these issues can be traced directly to the 9/11 terrorist attacks, the reality is that airline security in the United States has always been lax. Paper Masters writes custom research papers on Terrorism and examine the broad definition of terrorism of today and the politics involve.